Ellie Goulding has been dropping amazing track after amazing track in anticipation of her upcoming album, Delirium. (Please refer to "Army," "Something in the Way You Move," and "Lost & Found.") 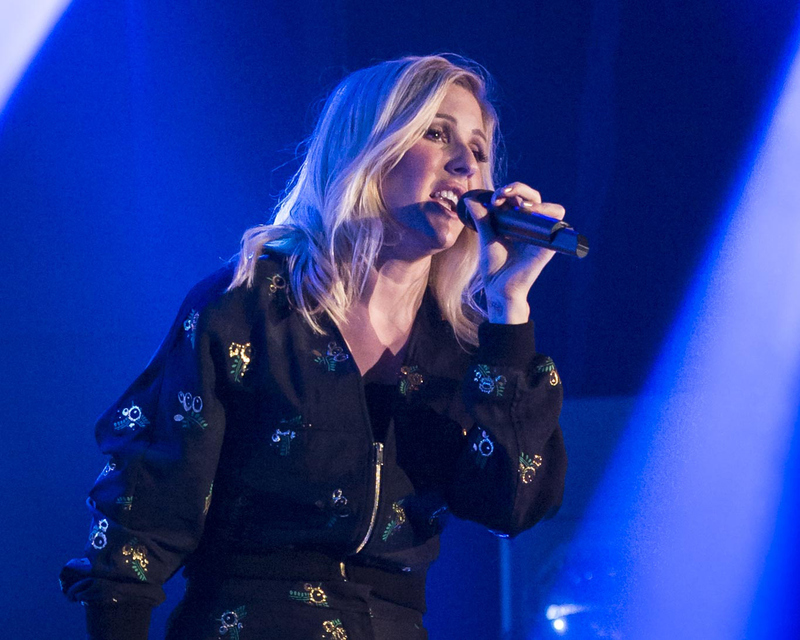 Get ready to hear another new song, because Goulding debuted "Keep on Dancing" on BBC 1 — and she even cited it as one of her favorite numbers on the album! According to Idolator, the track is co-written and produced by Ryan Tedder, which partially explains why it's so darn catchy. The rhythm has a sweet whistle-thing going on that adds to the playfulness of the lyrics. Speaking of the words, this song is all about escapism. In a cool blend of the "let 'em talk" nature of "Shake It Off" and the dance floor liberation of Selena Gomez's "Me & the Rhythm," Goulding sings, "People like to talk / Because they don't know what to say/ Running from the truth / Because the truth's too much to take / I keep raising glasses cause I only got today / I just keep moving / I just keep moving." And in case you're wondering about Goulding's advice for shakin' off the haters? "I keep on, I just keep on dancing," she croons. It's definitely a sultrier vibe for Goulding, but it totally works as a whole with the rest of the songs we've heard from the album. She's touched on happy-in-love, toxic relationships, and even taking risks in romance. There's a "carpe diem" theme to this song that ties everything together, as Goulding says, "You can hurt me / I'll find another / You can love me / You'll be my lover / Happy, in rain or thunder." It's about living in the moment and not having any regrets. You can listen to "Keep on Dancing" above and check it out when Delirium drops on November 6.